The media marketplace is dysfunctional. The way to fix it is not more of the same. 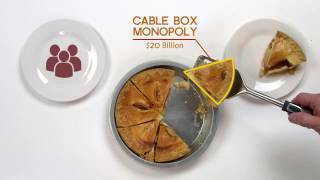 People are buzzing about possible new consolidation in the cable industry. The reason isn't hard to see: in a market that is already very concentrated, only the strong survive. Programming costs keep rising and larger cable companies would have more leverage in negotiations against media giants like Viacom and Disney. As ISPs, larger cable companies would be better able to drive hard bargains with Internet content companies when it comes to interconnection agreements, or operate their own online video services. But bigger is not better for the public. It would be unfortunate if, in response to problems caused by excessive concentration up and down the media landscape, yet more companies consolidate. This "if you can't beat 'em, join 'em" approach might serve the short-term interests of shareholders but it would not be good for consumers or the market as a whole. Media consolidation inevitably leads to less choice and higher prices for consumers, and fewer outlets for independent and diverse creators. One rumor in particular is worth going into. There are always rumors of this business deal or that in the media and communications industry. Most of them just fade away and are not worth commenting on. But the rumor that John Malone has his eyes on Time Warner Cable is an exception. John Malone owns the majority of voting shares in Liberty Media. Liberty controls or is a major investor in a large number of well-known names. To give you an idea of how diverse Liberty's portfolio is, let me name a few: The Atlanta Braves, TripAdvisor, SiriusXM, Live Nation, QVC, and Barnes & Noble. I could go on, but this should give you the idea: John Malone is a media moguls' media mogul. Malone used to run TCI, which was at one point the nation's largest cable provider. It's not for nothing that he's known as the "Cable Cowboy." TCI was eventually acquired by AT&T (with some of its assets going to cable companies Comcast and Charter Communications) and since then, he's been out of the American cable business. Well, until recently, when Liberty purchased a 27% stake in Charter. Since then, the talk is that Malone or Charter may be interested in joining up with Time Warner Cable. But beyond that, in recent comments, Malone has stated that he'd like to find ways to make Internet content companies like Netflix, Google, and Amazon fund the build-out of broadband networks. His comments are a bit ambiguous--it's unclear if he wants them to pay directly or through levying extra charges on customers who want to use their broadband connections to access those services. He appears to have floated both ideas. Either way, however, he appears to envision a broadband future radically at odds with the open Internet. To be clear, these ideas go beyond the kinds of interconnection disputes we've seen with Comcast and Level 3 and Verizon and Cogent. There may or may not be anticompetitive issues at stake with Internet interconnection and peering, but there is a difference between legitimate costs that may be associated with those kinds of relationships, and trying to extract money from popular Internet services or their users to cover the normal costs of operating a broadband network. 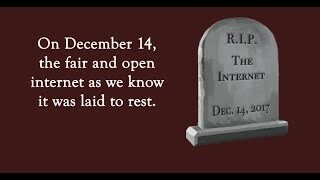 ISPs should not be "bandwidth trolls" that try to take all the value out of the Internet for themselves. The Malone rumors are just the tip of the iceberg. For example, broadcasters are consolidating so they can drive a harder line in retransmission fee negotiations. Across the media industry, executives seem to be coming to the conclusion that these "horizontal" deals (where cable joins up with cable, broadcast with broadcast, etc) are the way to go. But I worry even this could be just the first step. Once a media company is so big that no sober antitrust official would let it through, the next move is vertical consolidation--which is what we saw recently with the Comcast/NBC/Universal hookup. At the beginning of this post I noted that there are real problems in the industry that new merger deals would be meant (in part) to address. There are other ways to address them, though, besides more consolidation. More antitrust policing, reform to the retransmission consent system, perhaps coupled with some sort of wholesale unbundling requirement could bring the costs of programming down for cable companies and other distributors. Enforcement of existing policies (like net neutrality, and program carriage on the TV side) could ensure that large distributors do not disadvantage smaller content creators. Making the rules of the media marketplace work better for consumers will be hard work, but it's a job that policymakers at the FCC, the FTC, the DoJ, and Congress can do if they put their mind to it. This kind of fundamental reform will be much harder, however, if policymakers don't pay attention to the dangers of further media consolidation. Original image by Flickr user orangejack.